The technology allows users to play games through their internet browser or YouTube without waiting for content to be downloaded to a device, making access to games potentially as easy as watching a video from YouTube. Alphabet Inc's Google announced on Tuesday that it would launch this year a browser-based video game streaming service dubbed Stadia that attempts to capitalize on the company's cloud technology and global network of data centers. But Google offered scant details on timing, pricing or available titles for the service, which faces potentially tough competition from game publishers and from rivals including Amazon.com Inc and Microsoft Corp.
With Stadia, the "waiting game will be a thing of the past," Phil Harrison, a Google vice president overseeing the new service, said during a keynote presentation on Tuesday in San Francisco at the Game Developers Conference, which is bringing together this week about 25,000 people who work in the video games industry. Google declined to say how it would price its technology to consumers or game makers or specify supported games. It demonstrated titles from the Doom and Assassin's Creed franchises on Tuesday and said that it would be developing some games in-house. The streaming technology offers a fresh way for Google to pitch game publishers on its cloud computing and data storage services, which ultimately could generate more revenue for Google than game sales. But analysts have questioned whether top game publishers will be prepared to shift from the lucrative business of selling games on discs. Game publishers also may decide to launch their own streaming services, as film and TV studios have begun doing for their content in the last few years. In addition, several technology companies are looking to boost services revenue through games streaming, including Nvidia Corp, Sony Corp and Microsoft. The latter two dominate the $100 billion global games market, excluding China. Shares of Alphabet on Tuesday rose 1.2 percent and Nvidia 4 percent. Sony fell 1.24 percent and Microsoft 0.07 percent. Google "has one key weakness - first party and exclusive content," Piers Harding-Rolls, head of games for research firm IHS Markit, said in a note on Tuesday. "Both Microsoft and Tencent are better positioned with strengths in both infrastructure and content." Google has shown mixed results in gaming. Video games are the best-selling category on its app store for Android mobile devices. It sold an estimated $21.5 billion worth of games last year, according to research firm Sensor Tower. And gaming is among the top three categories on the Google-owned video service YouTube. But Apple Inc's App Store sold about $33 billion worth of games last year, and the games industry views Amazon.com's Twitch, rather than YouTube, as the most popular video streaming service for content related to video games. Google flopped in efforts to popularize games on virtual reality headsets and televisions. 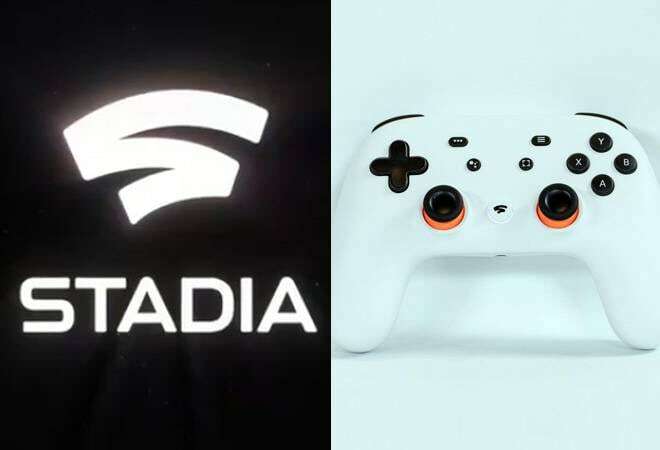 Harrison said Stadia would launch in the United States, Canada and much of Europe and support desktops, laptops, TVs connected to Chromecast streaming media sticks, tablets and phones. Players could enter games from links on YouTube or other social media. They will play using mice and keyboards, USB controllers or a WiFi-enabled controller that Google plans to launch this year. Google's hardware business is a top priority for Chief Executive Sundar Pichai, who opened Tuesday's keynote. Dozens of people are on the Stadia team, many of them formerly of game makers Electronic Arts Inc, Sony or Microsoft's gaming units.